Steve Petty was the only single hand needed at Qatar to make sure the Allan Johnson built KH Series V6 built in a corvette grabbed the world record in a 3.9 second glimpse. Arabian Drag Racing League is the hugely celebrated drag racing league in the Gulf region takingthe top spot in world's drag racing scenes in the recent pasts with its flattest surface thanks to the low altitude areas of Qatar any driver's dream is always to go fast here.Here yet again after many legendary pro-mod drivers Mustafa Atat molested the world's OutLaw record in a 3.9 seconds and yes he was in a Corvette. Steve Petty was brought aboard Qatar's AAP (AlAnabi Racing) to finalize the work on KH Series V6 and yes by the time he was leaving Qatar the car had booked a comfortable slot at the top spot of out law racing index. For the first time a corvette was sitting in the record of world's fastest outlaw car. Being driven by Mustafa Atat it was evident this car was going to ruin the record of OutLaw before we could see the mid of 2016. 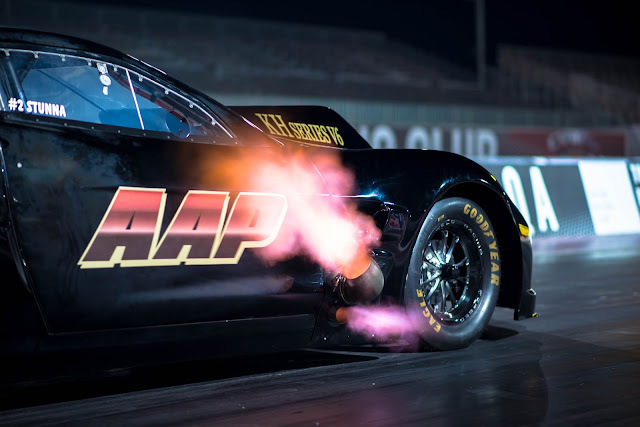 With over 2 weeks to prep and tune the AL Anabi team were upbeat that the car would even go lower than 3.8 and at 200mph eighth mile at QRC Drag Strip.Something we hoping it does at the end of Round 4 of ADRL. ''The journey started by KH vision of a V6 that would be competitive in Out Law Racing and Fast Promos. ''Steve Petty reveals. So what then were the tactics used by Steve Petty and the team at AAP to make the car go that lower? Qatar Racing Club has done a quick exclusive interview the genius where Steve explains to the dots of the details what this car is all about. From techs that a young blog like this would not know to the real basics,physics that built this engine - the KH Series V6. And how about fixing it in corvette? Now thats cool enough. 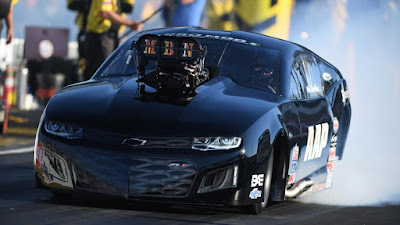 Will we see another KH Series V6 in a pro-mod car? Find out in this interview with master himself.